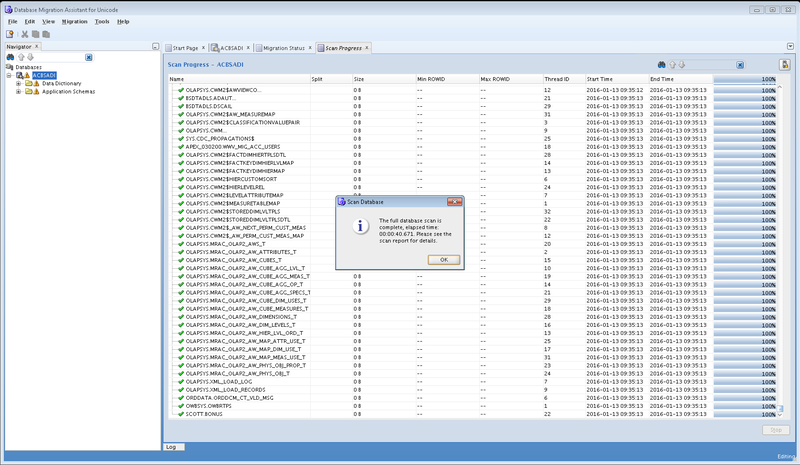 Few days ago I observed, all of a sudden, one of the application related cron job started failing with following error. This job was intended to drop temporary tables in application schema. We had written a shell script in which SYS user executes procedure owned by application schema. Only thing that was changed at DB end, that DB was upgraded from 11g to 12c. After investigating further on the error, I found this was due to a new 12c security feature. 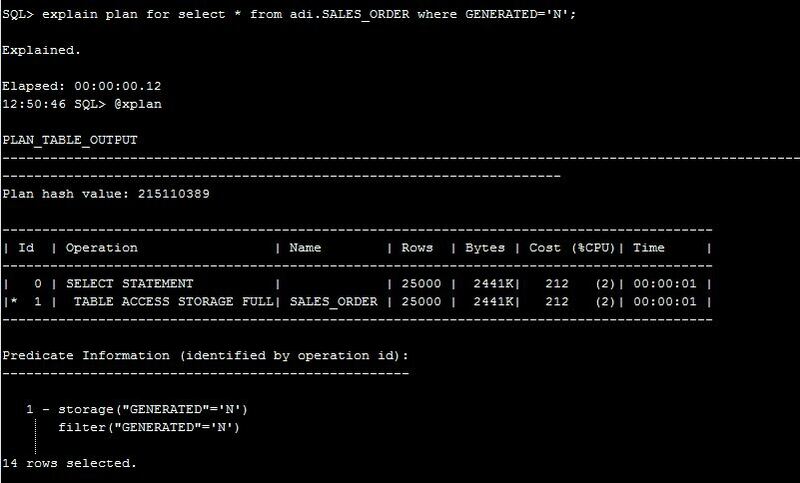 Before Oracle Database 12c, a PL/SQL code/pacakge/procedure always ran with the privileges of its invoker. If its invoker had higher privileges than its owner, then the code might perform operations unintended by, or forbidden to, its owner. Here we can see security gap. For example, User A creates a new package and we execute it from users with higher privileges, like SYS. Now user A knows that SYS uses this package regularly, so user A could replace the contents of this package with some malacious code any time and do anything in the database, knowing the code will be ran by SYS sooner or later. In 12c this behavior can be controlled using INHERITANCE PRIVILEGES. See following link for more details. As of Oracle Database 12c, a PL/SQL code/pacakge/procedure can run with the privileges of its invoker only if its owner has either the INHERIT PRIVILEGES privilege on the invoker or the INHERIT ANY PRIVILEGES privilege. In my previous post Oracle Histograms Simplified: Part 1, I focused on what is histogram & why it is used. In this post I will explain different ways to create & drop histograms. Creation of histogram is always depends on parameter method_opt that you specify during gathering statstics. 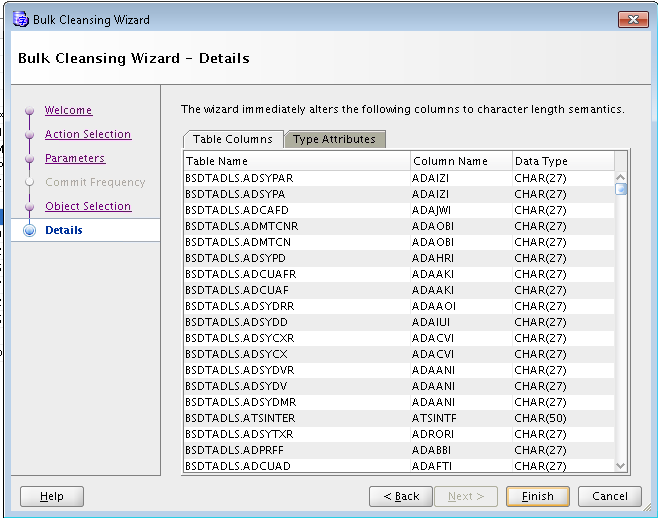 As name suggests oracle considers all columns on table for histogram creation. Oracle will consider only columns with indexes for histogram creation. Oracle will cosider only hidden columns for histogram creation. Oracle will consider only given columns for histogram creation. Moving to next portion of syntax, which lets you controls histogram creation and its type. You can specify number of buckets. It must be in range of 1 to 254. 1 denotes no histogram with base column statistics (i.e. minimal information required for the Optimizer) while 254 is highest allowable value. 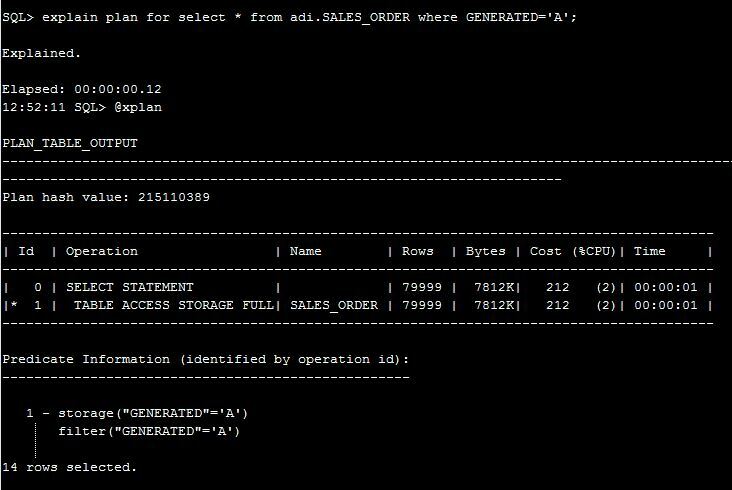 You run DBMS_STATS for a table with the METHOD_OPT parameter set to the default SIZE AUTO. The database keeps track of the predicates in the preceding query and updates the data dictionary table SYS.COL_USAGE$. Then you run DBMS_STATS again, DBMS_STATS takes into consideration data in SYS.COL_USAGE$ to determine which columns require histograms based on queries ran on table. 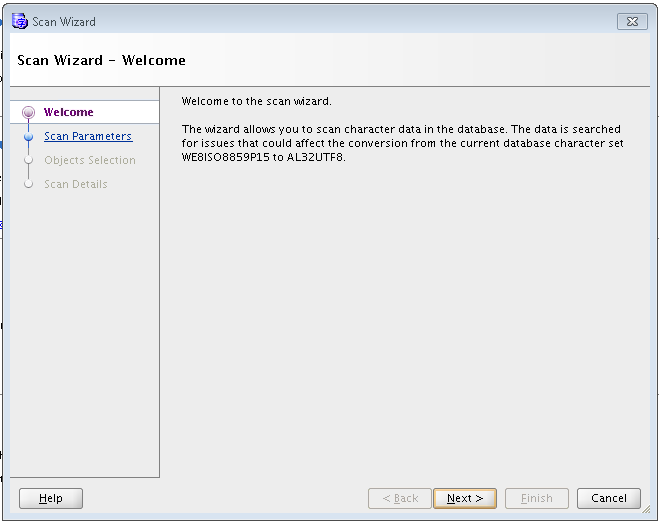 If you gather stats with auto option & do not query table at all, then Oracle will not create any histogram on column. 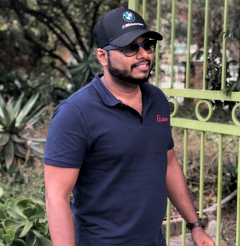 If queries are constantly being changed in particular environment, so even data in table almost the same, can cause changes in execution plans for the queries. It will just collect histograms on columns which already have histograms. Oracle collects histograms on the columns with only skewed data. This is generally not recommended as the optimizer needs at least the minimal (size 1) information for creating optimal execution plans. To delete histograms from a column without touching base column statistics i.e. minimal information required for the Optimizer (This is recommended method for pre 11g databases). Visit Oracle Histograms Simplified: Part 1, in which I focussed on what is histogram & why it is used. Oracle Histogram is very nice feature to help CBO to make right decision while constructing execution plan. But many of DBA’s do not use it, assuming it is complex concept to use. In next few posts, I will try to simplify it, so that we can achieve maximum benefit from it. A histogram is a special type of column statistic that provides more detailed information about the data distribution in a table column. In simple words, it is a feature in CBO and it helps optimizer to determine how data are distributed/skewed within column. Predicates with skewed data are good candidates for histogram creation. Basically CBO assumes uniform data distribution of data inside column across the distinct values. For the columns that contain skewed data, histogram helps to generate more accurate execution plans. 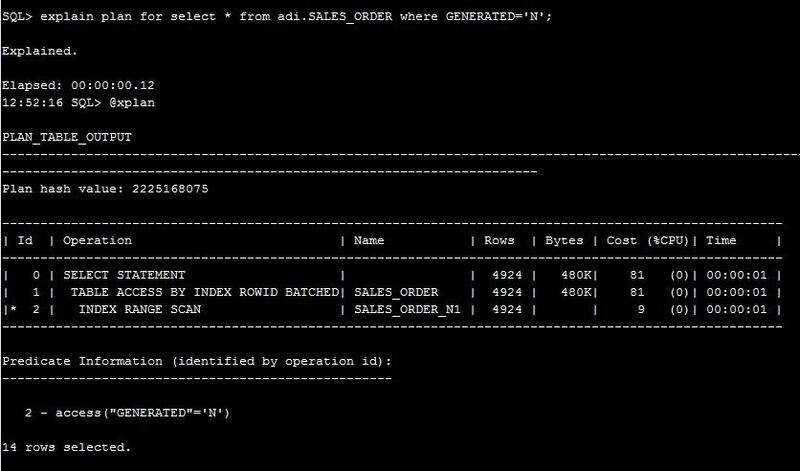 I have a table ADI.SALES_ORDER with 100000 rows with index SALES_ORDER_N1 on column GENERATED. GENERATED column has 4 distinct values: A, B, Y, N. CBO will assume uniform data distribution across these values. So any query with column GENERATED as predicate will go for FTS, as CBO will assume it has to select 25% data from table. As expected this query is going for FTS, as it has to select approx. 80% of data. But I will expect query to pick index in case of GENERATED=’N’ as it will just select less than 1% of rows from table. But NO its still going for FTS 😦 & it is due to CBO’s default behavior. As expected following query is going for FTS, as it has to select approx. 80% of data. In this post, we focused on what is histogram & why it is used. Stay tuned for Oracle Histograms Simplified: Part 2, in which I will explain what are different ways to create & drop histogram on particular column. Recently I was performing database reorg operation on one of pre-prod environment with traditional way of table/lob movement followed by index rebuild. After moving all segments from current tablespace to new, I was ready to drop original one. As first step, I tried purging dba_recyclebin, but it didn’t help. 1. 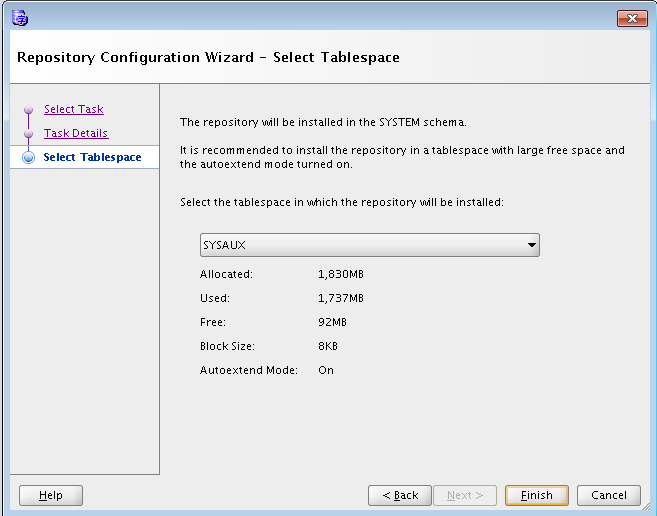 An attempt was made to drop a tablespace which contains tables whose partitions or subpartitions are not completely contained in this tablespace. 2. This can happen due to deferred segment creation introduced in 11.2. After moving all affected table partitions, I once again tried dropping tablespace: MY_TABLESPACE. It once again failed with same error: ORA-14404. Note: You may also get ORA-14407 is some cases, wherein sub-partitions are the issue, for which you will use above commands just with sub-partitions views. 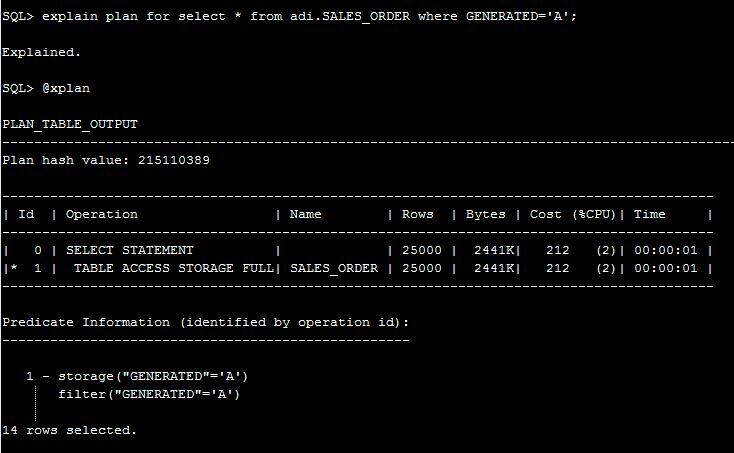 The Oracle Database 11.2 includes a new space allocation method. 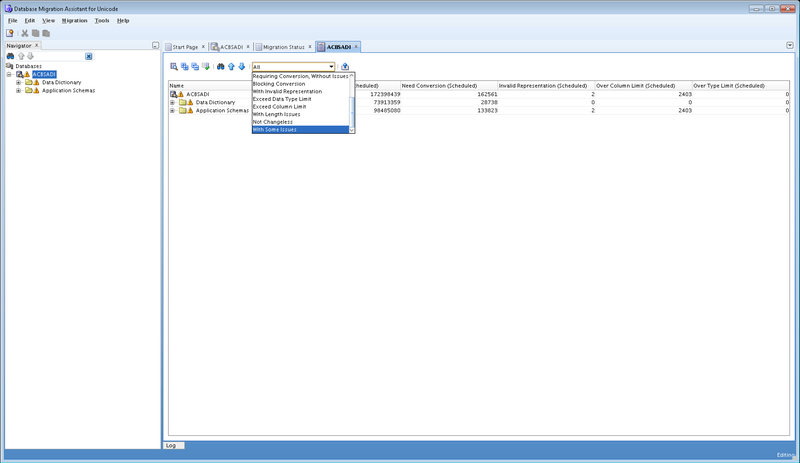 When you create a non-partitioned heap table, the table segment creation is deferred to the first row insert. 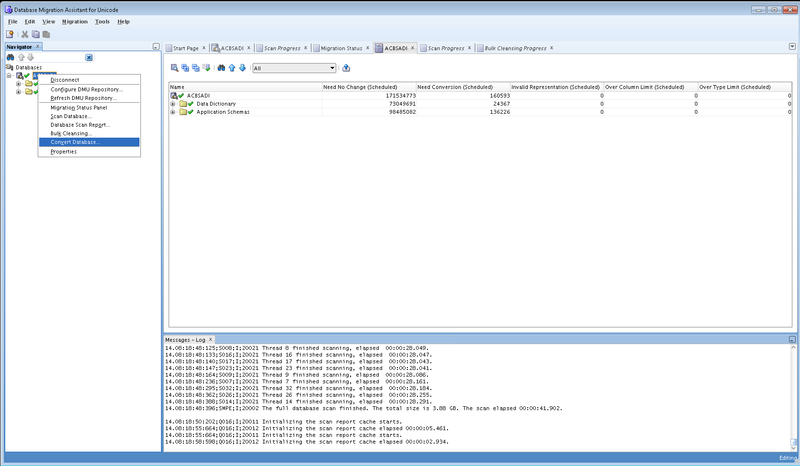 This functionality is enabled by default with the initialization parameter DEFERRED_SEGMENT_CREATION set to TRUE.So in simple words, if you have set this parameter to value TRUE, particular table will be populated in dba_tables once created, but will not be populated in dba_segments unless we insert a row to it. So in the case of defered segments, you will not be able to drop tablespace. This post will help you to convert characterset of database from WE8ISO8859P15 to AL32UTF8 in 12C. 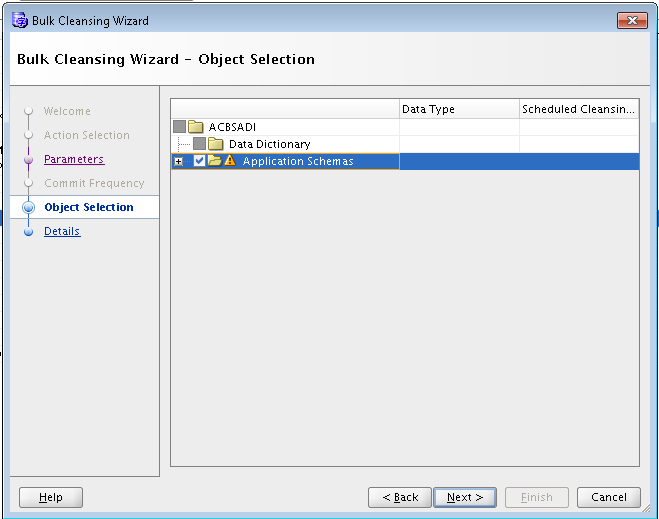 From 12c you will need to use DMU tool for characterset conversion instead of traditional method of CSSCAN & CSALTER. 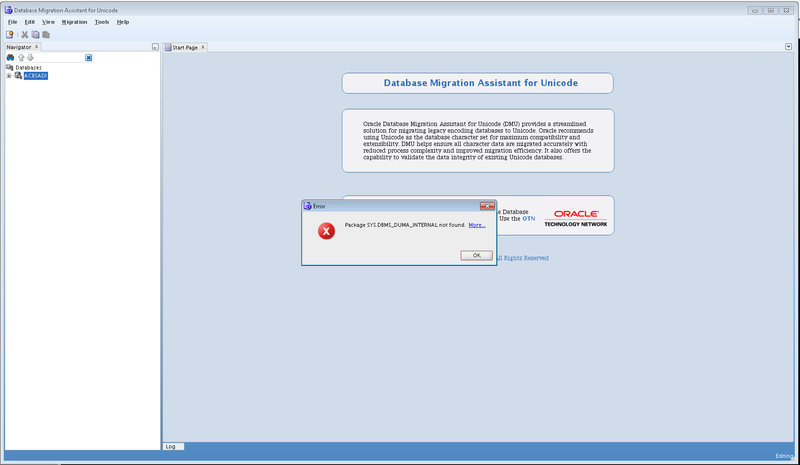 DMU is the Database Migration Assistant for Unicode . It converts the NLS_CHARACTERSET of an existing database to AL32UTF8 or UTF8. 3. 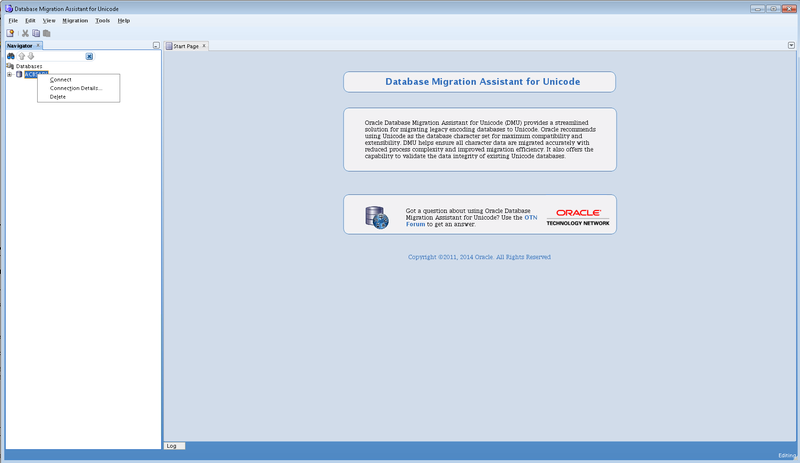 Resolve the migration issues. So as to make use of DMU, you need to create DBMS_DUMA_INTERNAL package under SYS schema. For creating mentioned package, you need to run following script. Once you get results, you need to tackle invalid representations & Over column limit issues. 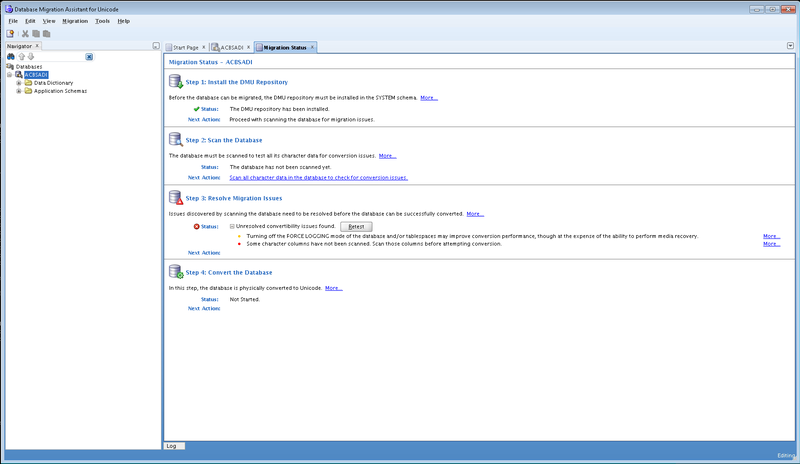 For invalid representations, you will need to right click a table and choose “Cleansing Editor”. The characters with issues will appear as small squares. You can edit data so as to fix invalid represenations. 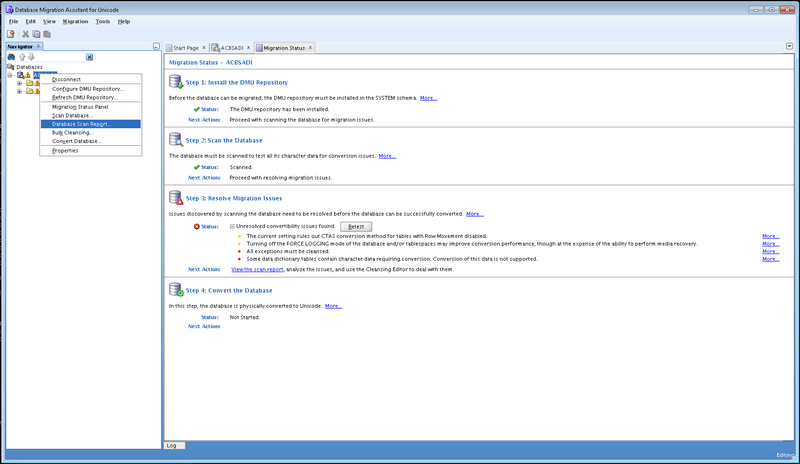 Now you will notice no migration issues observed after scanning database. Few days back, I was working on one of the UAT environments so as to drop columns from 2 tables which were already set to unused as per request from one of my application team. 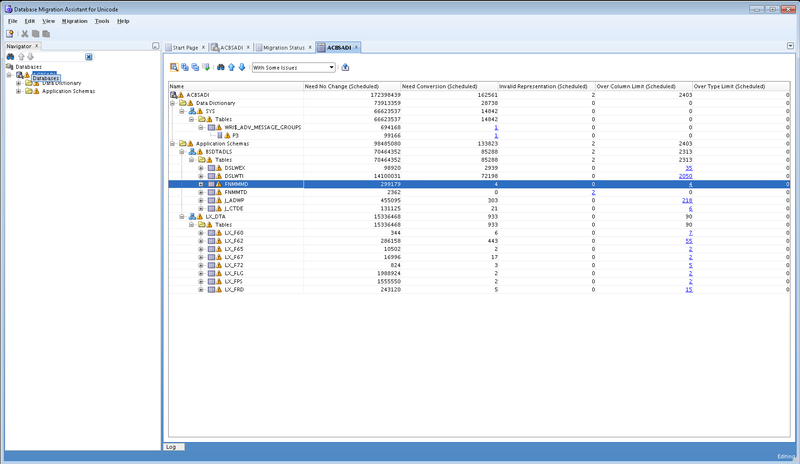 Note: For identifying unused columns for any table, you need to query dba_tab_cols view as follows. If count is greater than zero then table has unused columns in it. 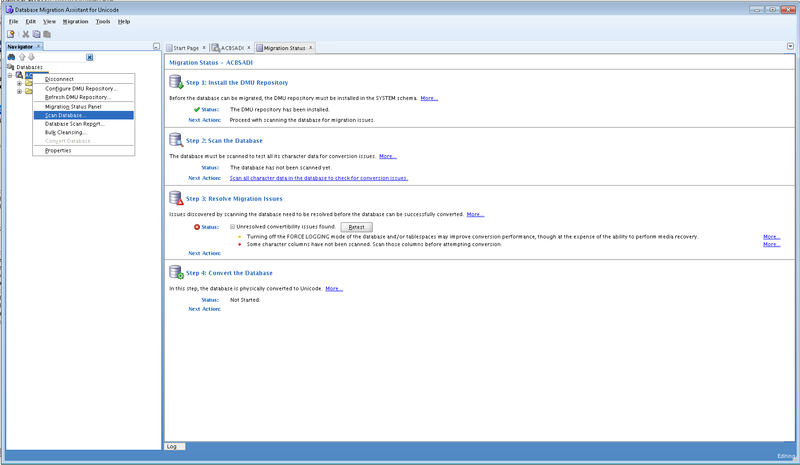 This columns will not be visible in view dba_tab_columns. Both the tables were compressed one & as per Oracle’s documentation, Compressed tables do not support drop columns. So if I need drop these unused columns then , I will need to follow simple approach of uncompessing tables first, then dropping unused columns followed by compressing it back. After searching on metalink I found note: ORA-39726: Clarification on error when Drop Unused Column does not help (Doc ID 1574318.1), which indicates to use “table move” or “table redefinition” to make the table completely uncompressed, but still you cannot drop the column. One of the biggest challenges for DBAs is the lack of disk space especially for the backups. Two days before, I came across the situation where I was need to do export/import schema from UAT to DEV, but none of the mount points on filesystem were having sufficient space available to fit export dumpfile. In my case, taking EXPDP schema backup followed by compresing dumpfile with GZIP/BZIP2 was not possible due to insufficient disk space. So I started exploring different methodologies to apply compression on dumpfile which will allow me to compress dumpfile on fly. 1. Compression happens parallel with the export. 3. Can be used for 10g as well as 11g. 1. Can’t use this methodology for EXPDP/IMPDP. From 11g, You can used advanced compression menthology to compress dumpfiles on fly. This can be used for compressing data, metadata (which is the default value), both and none. expdp directory=DATA_PUMP_DIR1 dumpfile=exp_disc_schema_scott.dmp logfile=exp_disc_schema_scott.log schemas=scott compression=all. 2. 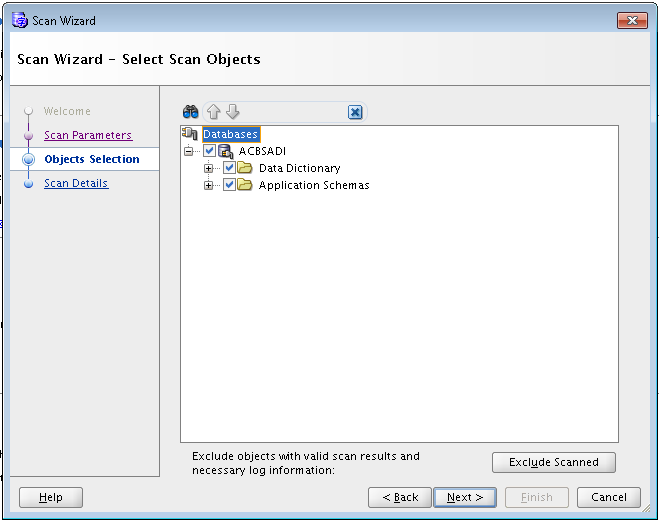 Compressed dumpfile can be directly used for import without decompression. 2. Advanced Compression License option must be enabled which is an extra cost.